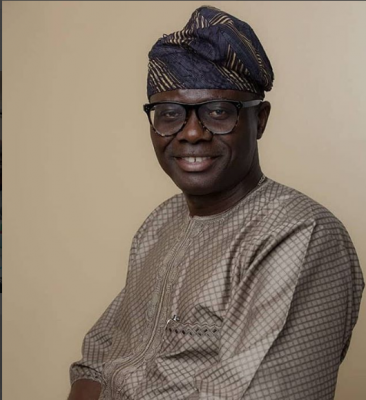 The Babajide Sanwo-Olu Campaign Organization (BOSCO) says Jide Sanwoolu is now ready to battle Akinwunmi Ambode for APC’s governorship ticket at the party’s guber primary on 29 September, 2018. 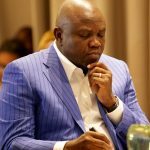 A statement issued by BOSCO’s Director of Media, Dolusesan Daini on Thursday said the organisation expressed joy and excitement at the outpouring of love from Lagosians, particularly the torrents of endorsements from various political and socio-economic groups across the State and several Lagosians living in the diaspora, noting that it was a confirmation that the people of Lagos were fully in support of Sanwo-Olu’s aspiration to administer the State as Governor. 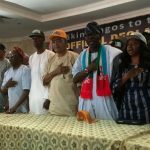 ‘’We have received calls from hundreds of notable politicians from across Lagos State, declaring their love for the choice of Mr. Babajide Sanwo-Olu. Some have actually written us letters to pledge their support and to endorse our man. ‘’Just on Wednesday, the PSP operators in Lagos issued a statement to applaud the choice of Babajide Sanwo-Olu, whom many have described as a great administrator, a listening leader and a man of character,” he said. 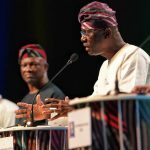 He said some other endorsements for Sanwo-Olu included The Consolidation Group (TCG), with the entire Amuwo Odofin chapter of the APC, Badagry chapter of the APC as well as several notable individuals in the party. Speaking on the revised time table for the primaries, Daini said although the BOSCO was ready for the election, the shift by three days would give the campaign committee an opportunity to further reach as many party members as possible. 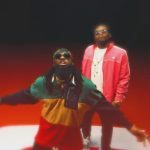 Daini also dismissed the insinuation in some quarters of the social media that the Conference 57’s support for Sanwo-Olu was for economic reasons, saying that those spreading such falsehood were either bereft of knowledge of Lagos politics or were only out for mischief. 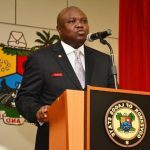 He said Conference 57’s endorsement and support for Sanwo-Olu was borne out of the group’s desire to take Lagos to a greater height. ‘’We are reading all sorts of lies, distortions of facts and some falsehood posts on social media aimed at disparaging our movement and our leader. But we have decided not to respond to them because most of the posts are without authors. 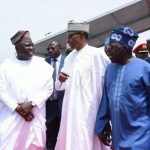 Rather than dissipate energy on all that, we have concentrated work on mobilizing our base and preparing everyone for the election,” Daini said. 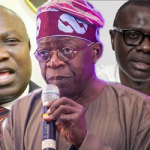 He said some party leaders who had openly identified with Sanwo-Olu included former Minister and notable politicians, Mr. Ademola Seriki; Senator Gbenga Ashafa (Lagos East Senatorial District), former House of Representatives member, Mr. Monsuru Owolabi (Bertola), and several current House of Representatives members; former Commissioner in the Asiwaju Bola Tinubu administration, Mr. Wale Edun; frontline politician, Mr. Shakirudeen Sola Giwa, Cardinal Odumbaku (Baba Eto), among others.